Hi there! 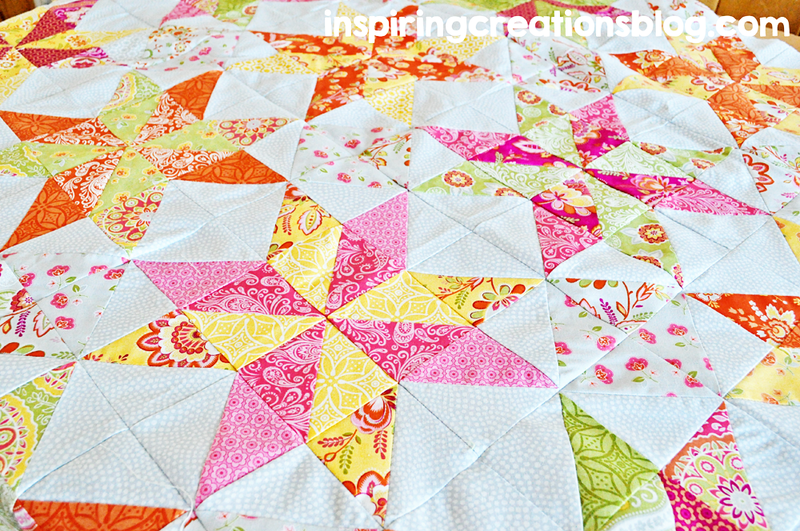 I just wanted to give everyone a quick Thank You for all the lovely comments and support for my Love Squared Quilt! I appreciate all of you and have thoroughly enjoyed reading all your favorite color combinations! You still have time to enter to win the fat quarter bundle! Go here to enter! I came across this quote the other day and fell in love with it. I am a dreamer. I stay up at night and simply dream up ideas. Lots of ideas. They are never ending, and usually keep me up at night. I have had a specific dream for a very long time, and I can now say I am making this dream come true! I am scared, anxious, excited, nervous, thrilled, joyful, and hopeful. This quote says is quite perfectly. 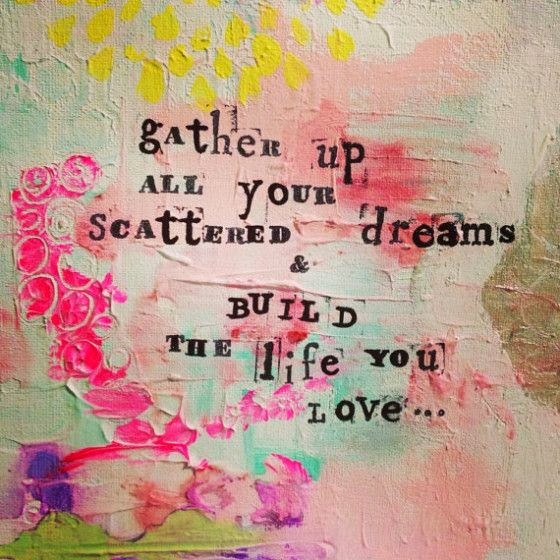 I have been gathering up all my dreams and finally living the life I love. Now that I'm off my inspiration soapbox, let's move onto what I have been working on this week. You would think I would be sick of this quilt by now, but the truth is I just fall more in love with this quilt as it comes together. I finally finished sewing all the blocks together. I decided to NOT do sashing after all. I liked the secondary patterns that come out from not doing the sashing. I have said this time and again, but I just love these fabrics. The bright pinks, oranges, yellows, and green just pop against the neutral grey. It is very scrappy, but I kind of love that about it. I just have to add a border on. I just received the fabric in the mail yesterday and will attach the border this weekend. Then I can start with the quilting process! This quilt has been a long time in the making and I am ready to finish it! Beautiful!! Love the quote and the quilt! I love it! Definitely doesn't need sashing in my humble opinion. I can't wait to see the finished quilt. It is so beautiful! That is an awesome quote! I love that you are living it! Pretty. I like the pattern in a pattern too. Lovely pattern and color combination! It is so nice and cheery. Happy and bright! Looking great!